Don’t wait ’til Cyber Monday to save big! Starting on Thanksgiving and continuing through Black Friday, the weekend, and Cyber Monday, Nourishing World is offering great savings. Get a jump on your holiday shopping, or stock up now on your favorite supplements. 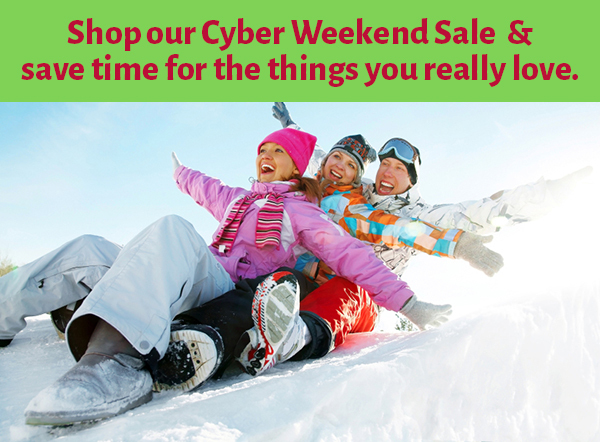 Cyber Weekend sale lasts from 11/27 to 12/1. This is the perfect time to buy some gifts and stock up on your favorite supplements! This is a perfect opportunity to support a small, family-owned company this holiday season. Support a small business and do your part to help the environment, too, all while saving money!